kain thing' in which he featured 9ice. 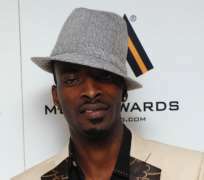 In an interview with Funmi Salome Johnson and Hazeez Balogun, he expressed disappointment with Id Cabassa whom he accused of manipulating his song and giving it to 9ice. I am not based in Lagos, so it would not be that easy. Nigeria is a very big country. It is a gradual process, success is a gradual process. I have a video titled dat kind thing which I recorded with 9ice two years back in 2007. Emeka Obefe shot the video at Ikorodu and it was aired on MTV and some other stations in Nigeria like Nigezee and other stations. It is a popular song by the grace of God. How popular are you in Enugu where you are based? Yes if you call names of people that really have street credibile songs, by the grace of God my name will be among the first five. The action is in Lagos that is why I am trying to get my video played in Lagos. They don't play my video in the east because there are no good TV stations down there so here they appreciate my songs too because when people see me they show me love and that to me is appreciation. You say you have a song you did with 9ice and he has that same song on his album without featuring you in it? You know sometimes some Nigerians do some things and think that they can actually go away with it. I have been quiet all this while not because I don't know what to do but it is because he is somebody I am fond of. But at the end of the day it is not good to step on people's toes and act as if it is nothing. All the while, I tried reaching him on the phone but I did not get through. Secondly, when you walk into stardom, you will want to put others into consideration. I was trying to consider him by trying to put myself in his shoes because if I had gone public all these while, I don't think he would have gone this far with his musical career, he would have had a shaky foundation. I left him to see if he would have conscience to know the right thing to do because when I met him he was not yet as popular as he is now. Last year March, I was talking with TJoe, a marketer in Alaba who wanted to buy my album outright for 4.5 million Naira, I had an agent that was helping me talk to Tjoe, that was when I knew 9ice added the song to his album. I was celebrating him in the East, his poster came to me from Afro Best and not knowing what he had done behind me, I was helping him distribute his posters all around, I never knew that there was something going on until I got a call from Tjoe, he said he could not work with the song that I should buy 9ice album and listen to track 13. I found out that it was the same song I did with him, the song I paid for, the song I shot the video. I missed my degree exams because of that song, I did not go to service. I am still waiting for February or March or September if it will still work so that I can go for my service. Have you spoken to Cabassa about this? The number I used to get him with is not connecting. I spoke with his friend Jah Bless some weeks before he dropped his album, I never knew there was something fishy and at a time he stopped picking my calls and I was wondering what went wrong until I got the call from Lagos that I realized that something big was wrong. So you are saying that it is Cabassa that gave 9ice your song? You see the case is like that of the doctor and a patient. A doctor is supposed top be confidential, a doctor is not expected to start disclosing people's confidential matters of their health with other persons without the patient's consent. Just like a Lawyer can not open his client's case with anybody, so Cabassa opened it all up. This is a work I paid for, I paid for the beat, I paid for the studio session, I paid for everything, nobody else has a right on that song. So why have you not gone ahead with the case legally? Do you see this case going far, all the lyrics used on that track by 9ice, are they yours, are you the one that wrote it for him? In Nigeria, if you want to work with an artiste, you want him to come and bring his own painting brush, you people will join it together because music is like painting, you paint something together and in doing so, originality matters a lot in music. As a musician, you will never lack lyrics at any time, he did his part. The inspiration came like this, I paid for the studio session, the inspiration came from my beat that I paid for, so whatever you sing on it, as long as it is not your song, you did not pay for it, it is not your song, it is for me. I called him to feature on my song and not to steal the song from me and it was not a collabo so it is my song and I have the right to do whatever I like with the song, not him. Was there any legal and written agreement before you guys started doing anything together? Nigeria is not like Yankee and everybody knows that. Once there is an understanding.There was an understanding between 9ice and I. what 9ice asked me was that 'will you promote this song, will you promote the video?' and my answer was yes and I made sure I met up with our agreement. I promoted the song, I shot the video, I paid Emeka Obefe for the video, you can call to confirm. How much did you pay for the video? I paid two hundred and fifty thousand naira, then the location we used,we shot for two days and that is eighty thousand for a day, then the cameras we used, the dancers and everything, I spent roughly six hundred thousand Naira on the video. Which came out first because that album has been out since? My video came out before then. That album has not been out since 2007, 9ice has two albums, certificate and Gong Aso. Certificate was the 2007 album and I recorded the song in 2007 and I shot the video in 2007 because in December the video was played on Mtv base. If you call marketers in Alaba, they will tell you the origin of the song. How much did you pay 9ice to feature in the song? I paid money for publicity and you know that publicity takes a lot of money. For you to promote somebody and make a video of anybody costs money, the tops he wore in the video I bought them. I told 9ice, 'you are an artiste like me, I am not going to pay you, if the things come out good you will see what I will do for you'. That you help in building the house, does it mean you own the house? So what are we talking about here? If he wanted to be sincere, he would not have removed my own part, after all he had fourteen songs on the albums, he could have removed that one and would still have been left with thirteen. Did you pay Cabassa for the beat? Yes I paid Cabassa for my beat, Cabassa is the pioneer, the main criminal that needs to be dealt with. I paid for the beat and it was used illegally. If that he took the verses and left the beat, it is a different thing but he took the beat, he took the chorus and he took the verses. So in a sentence what has 9ice done to you? 9ice stole the song and everybody can see that,there is nothing to hide about it. 9ice and Id Cabassa, especially Cabassa, that guy should not be called a producer at all. If he does not take his time, he will land himself in jail. Aside all of these, what plans dop you have for your musical career or are you just gouing to sit down and look? The thing is that, I have invested a lot of money on that track unlike every other track I have in that album. The first time I saw 9ice, I fell in love with him thinking that he was someone that I could have something to do with and we did it I shot the video and for him to have behaved like that is really awful. I have other tracks and I have other videos and they will be out very soon by the grace of God but I can not just stand there and be looking at things going wrong without doing something about it. That video is one of the videos they request for more than all my other videos so I can not just keep quiet without doing something about it. 9ice really infringed on my right to that song. Olumide Ogunade popularly known as ID-Cabasa is definitely one of the most sought after Nigerian hip hop music producers. Though he has been producing music for a long time, his real major break was with the success of 9ice's Gongo Aso which he produced. All the songs on the album are hits, and this has earned him credibility among musicians. His studio today is always flocked with both up-coming and already made musicians, all seeking the midas touch of Cabassa. After the visit of RXD to the offices of Nigerian Compass, where he claimed that ID Cabassa stole one of his songs and gave it to 9ice. RXD also went further by playing a sample of the song, Dat kain thing which features as Jule in 9ice's Gongo Aso album. After listening to the song, one would be convinced that it is the same song as Jule, only that it has RXD's voice on it. According to RXD, the song is his song and he only featured 9ice on it. But ID-Cabassa, in a telephone interview, said he was shocked to learn that RXD came to Compass' corporate head quarters to report him. He said that he worked with RXD a long time ago and could not easily recognise his name. On the purported stolen song, the producer explained that RXD is a usurper who is only trying to use his (Cabassa) name and that of 9ice to gain popularity. He said that RXD is someone who he had helped out but had ended up biting the finger that fed him. 'That is how these upcoming artistes behave, you try to help them and they do as they like. One minute they are begging you, the other minute they are backstabbing you' he said. Trying to clarify on the copyright issue, Cabassa accepted that both Jule and dat kain thing were his works and that he produced both songs, but said the story is not as RXD relayed it. The story according to him started when RXD approached him late 2007 to produce a song for him. RXD had begged him to please make the song a hit so that he could become popular. ' I saw that he was desperate and needed help, so I took one of the songs which I have recorded for 9ice, I told him to sing on it. So it was like he sang the song while 9ice did the chorus. On the original I did for 9ice, it was 9ice who sang both the verses and the chorus. On why there is no written agreement between the duo, Cabassa said: 'I think we had one, but that time we were not thinking of that, I saw a young boy who needed help, and I helped him. We had an agreement that the song belonged to 9ice, and he understood that. Funny enough 9ice featured in the video of That kind thing, by RXD, this could easily mislead one to think that RXD is the original owner of the song. But Cabassa was all defensive for 9ice. 'see, like I told you, we were just trying to help the guy out. The boy did not pay any Kobo, yet I gave him my work to use. He did no give 9ice any money, yet 9ice featured in his video, does that not show that we were trying to help him? Let him go ahead to say whatever he likes' said Cabassa. Keeping a cool head on the issue, Cabassa revealed that, that it was very common for upcoming artiste to use whatever means to get to stardom, even when it entailed bringing down others. 'Thank you my brother, don't mind the guy, that is how they do' said Cabassa.